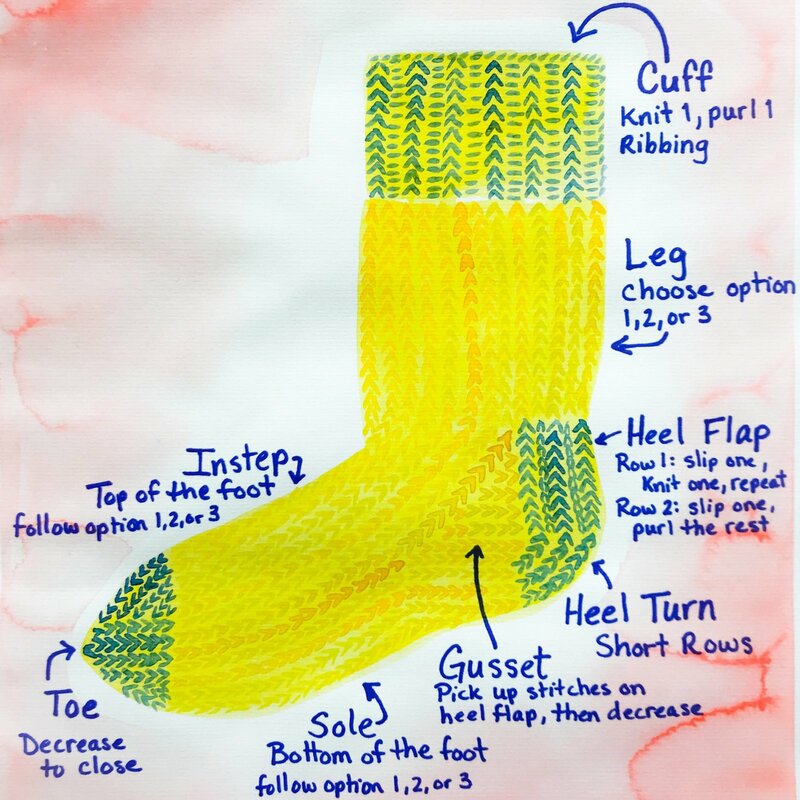 Socks: Magic Loop and More! Requirements: Students should be comfortable with the long tail cast on, knit stitch, and purl stitch. Nothing more is needed!